The mascot of Lowell Elementary at 810 North 13th Street is the leopard. Per Lowel’s website, it is the oldest school in the district and began as a log cabin in 1869 at N. 28th and Starr Street. It burnt down in 1875 and was rebuilt in 1885, and named Lowell in 1890. In 1892 a new building was constructed and the 1885 building became the annex. In 1949 an earthquake hit the region, killing one Lowell student and making the building unusable. In 950 the most recent Lowell and the one current being used was constructed and in 1961 the primary unit was built. 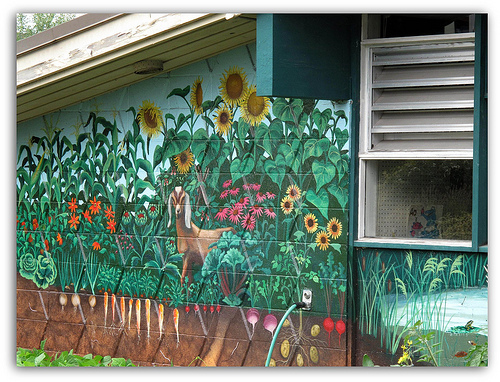 I was especially impressed with the mural on the side of an outbuilding on the site. 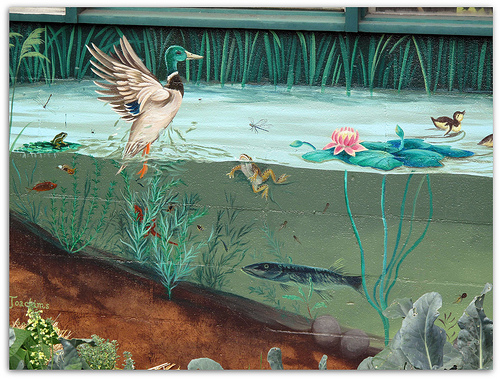 This entry was posted in Art -- there is art here!, Schools, Tacoma, WA State - Pierce County and tagged elementary, Lowell, murel, school, Tacoma on September 22, 2011 by admin.